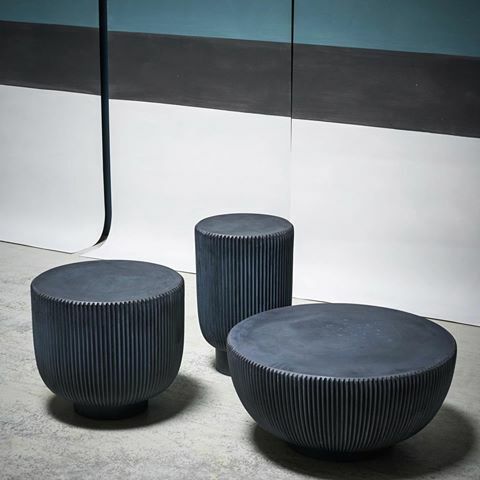 Low Tables with round structure realized with moulded concrete in order to create vertical pleating on the surface. 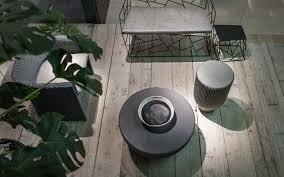 Available in moss green, dove grey and blue concrete. 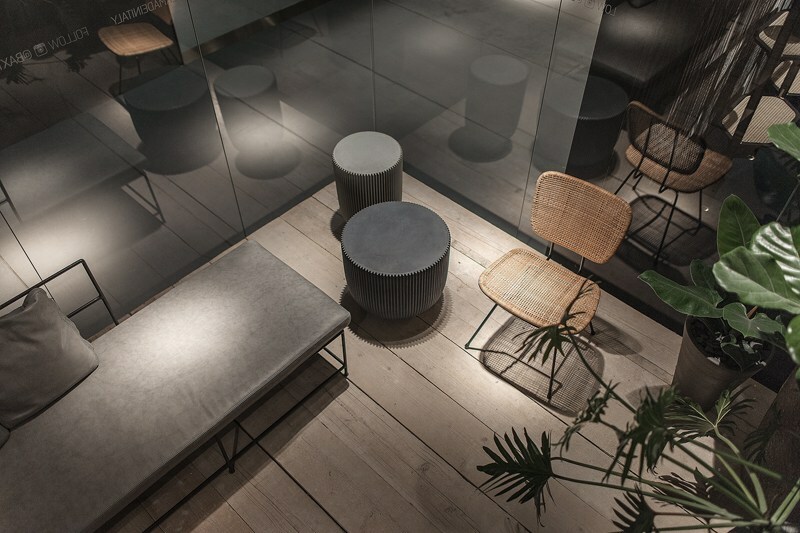 Designed by Draga & Aurel for Baxter.